So silly and so over-the-top, that it's hard not to fall under the spell of its exaggerated glare. I like this a lot, the benefit is clear, calls your attention, and the art is very good... good job! Nice idea, but such an ugly bat. Quite exaggerating but I love this idea! I needed to see the whole series to finally appreciate it. I wouldn't associate a bat to "daylight" vision. The only hint in the picture that it's night is the moon. 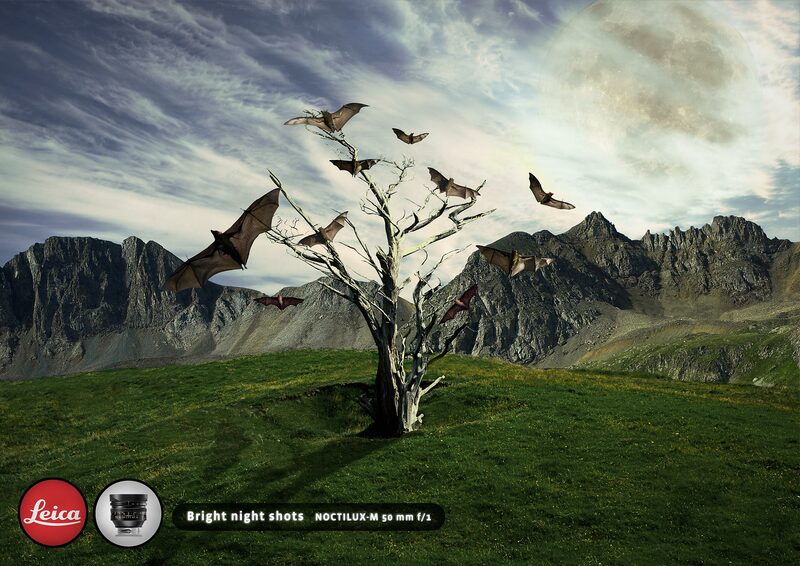 Bats don't see in the day... and they use an internal sonar system to figure out movement at night. Aren't Germans familiar with the expression... blind as a bat? DOH! i dont think that the bat stands for the good vision. its just an indicator for nighttime. because you dont see them that much at daytime. aren't you familiar with this fact...??? all three, are some kind of gad awful, stock-photography mish-mash. Clumsily cobbled together with little appreciation, for .... well ... where do I start, light, perspective, movement, etc..etc..
there are few things that I like less than these! can I give minuses ? seems to me that ddb berlin likes to be inspired by student work coming from germany huh! ?